Our Builders carry some responsibility to build safer high density stick frame or mass timber buildings especially after 2 construction workers died in Denver last year including many firefighters by collapsing light weight engineered wood floors. M-Fire will be highlighting the causes during our MFI Red Zone Tour to equip owners to support GC’s and Contractors request for the newest most cost effective solution that is now available nationwide. As more and more builders use the Mighty Fire Breaker™ approach to defend, all the interior lumber owners have to be aware of new liability risk if anyone every gets hurt. This year alone, 4 high density wood framed projects were lost due to suspicious fire. Owners who risk their workers safety and ignore the additional cost of an event are taking undo risk that could cause future liability issues. 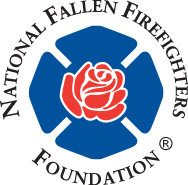 At M-Fire we honor our brave fallen firefighters by trying to raise the bar in the building industry. Fire can advance quickly in wood framed structures during construction. When MFI trained applicators defend all the interior lumber as buildings are framed, the free radical leg is broken in fire for early fire elimination. The difference for fire fighters in buildings we fire defend is fire does not gain the same radical pace a raw lumber building does. Mighty Fire Breaker™ also defends the Renewable sustainable lumber so there is less loss for builders to replace while also making buildings safer for workers, firefighters and neighboring buildings. Our MFI goal is to defend the negative propaganda about lumber built buildings and avoid being a Coroners testimony in the building we defend with Mighty Fire Breaker™. Just for the record, the New Best Practice For Fire Elimination with MFB is now in the history books as the most cost effective fire defense the building industry has ever known. From the testimony so far given before the coroner, the direct cause of the disaster would appear to have been the immense weight of the water thrown into the upper floors, soaking the stock of paper, books and the like, but that radical defects also existed in the construction of the building, the walls being of insufficient thickness, and the joists set into the walls only about two inches. BURNING OF THE BOWEN-MERRILL BUILDING AT INDIANAPOLIS, MARCH 17. INDIANAPOLIS, March 21.—This morning Chief Frank Dougherty announced that until the body of poor Woodruff was found, the tottering wall of the Becker building would not be demolished, and he, with a party of volunteers, including Assistant Chief James Davis, Street Commissioner Derk De Ruitcr, Thomas Dillon, superintendent of the Brush Electric Light Company and half a dozen others who went to work with picks, shovels and ropes upon the ruins to endeavor to find the body of the dead fireman. 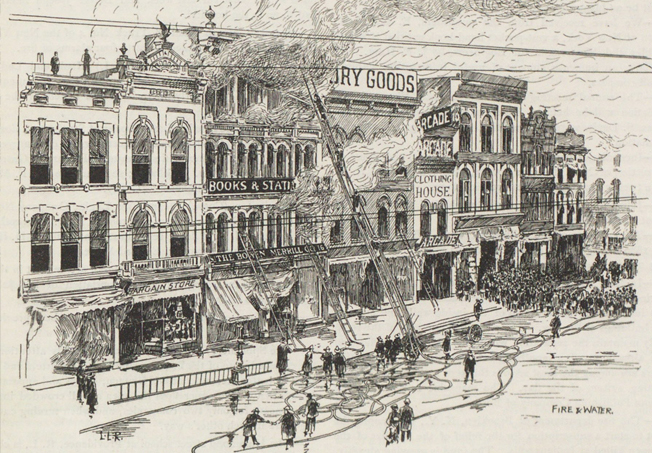 There has been considerable criticism of Chief Dougherty’s management of the fire, and some newspapers are calling loudly for a complete reorganization of the fire department; but until a full investigation of all the circumstances is made, it is rather too early to indulge in loose talk upon the subject. The fund for the relief of the families of the dead firemen amounts up to date to about $35,000, and subscriptions are pouring in from all sides.